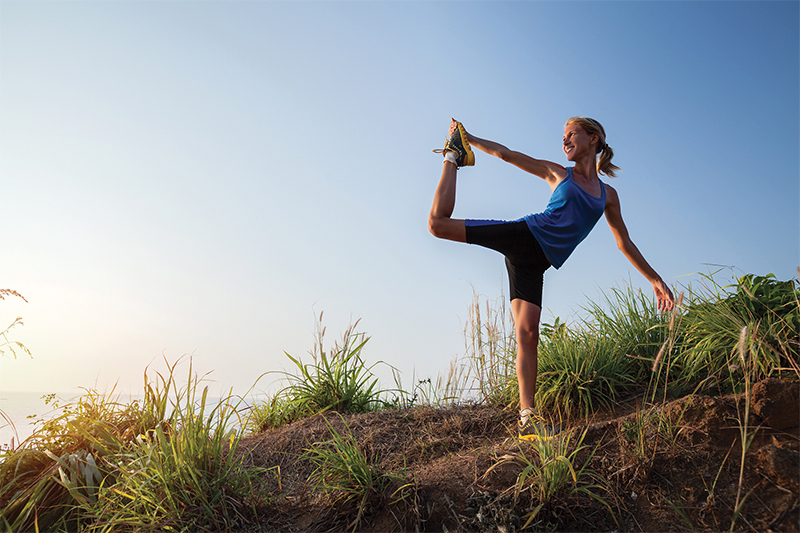 Yoga for Runners, from the Human Kinetics series of fitness books, promotes the benefits of a yoga practice for enhancing a runner’s training program. When I was asked to review Christine Felstead’s Yoga for Runners, I was drawn to the author’s promise of a “proven program to relieve aches and pains, maximize running performance and minimize the risk of injuries.” As a runner and yogini for the last 15 years, I appreciated the opportunity. Yoga for Runners, from the Human Kinetics series of fitness books, promotes the benefits of a yoga practice for enhancing a runner’s training program. Building on a foundation of breath, mindfulness and balanced muscle development, the author outlines yoga poses that correspond to each of the following key areas for runners: the feet, ankles and knees; the spine; core; hamstrings; and hips. The plain-language approach of describing how the body supports running action, with corresponding anatomical diagrams, helped me with poses to stretch and target a muscle imbalance in my back that flared up recently during resistance training. As the author notes throughout the book, yoga helps create balance in muscle development and strength. Felstead does a great job of describing yoga poses and sequences of poses to stretch and strengthen, as well as to address common injuries. Nevertheless, for runners new to yoga, I would suggest attending a yoga class or workshop for runners in the “explanation, demonstration, imitation and practice.” Otherwise, you may find yourself needing to flip back-and-forth between sections. Of course ,there are “apps for that,” however, a class or workshop will help you move through the ten sequences laid out in Yoga for Runners more fluidly. So, after toting my copy around to the gym, on vacation and a few business trips, I would definitely recommend this book to any runner who has experienced stiffness, injuries or simply wants to improve their running or even yoga practice. While many of us will push through the pain with the help of the “runner’s high,” counting on the release of endorphins to get us through, incorporating yoga into your training program is a healthier way to prevent and address injuries and make you a better runner. Want more information on Yoga for Runners? Click HERE!